It's Trendy Tuesday again!! Happy to have you back to visit! Love looking through all of your projects. Everyone is so creative as always. There's still time to enter the awesome Nexus 10 Tablet Time giveaway! Hope you have already taken advantage of it. If you haven't had a chance to follow Sweet Little Gals on FB, make sure you do as soon as possible! I really like FB for communicating with all of you. And it's a great way for YOU to get updates on what's going on around here. Here is the feature of the week. 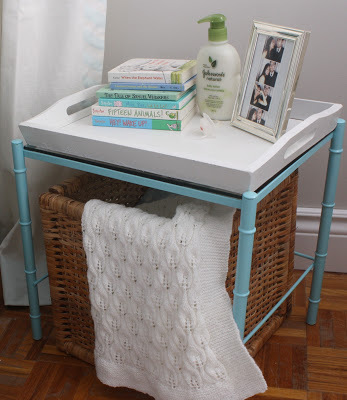 Love this table redo from Urbane Jane It's so much fun. Make sure to check out the before to see the transformation! Thanks for your party!! I haven't been blogging for a few months, and it's so fun to be back! Thanks for hosting!! Excited to link up with you for the first time!! :) Have a fabulous week, Sara! just found your blog and link party! excited to party here now each week! Sara - thank you for hosting!